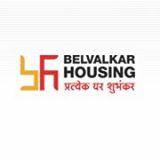 Belvalkar Housing has completed more than 50 projects in the last 45 years that encompasses a mammoth 30,00,000+ sqft. of construction. We have more than 4500 satisfied families that share a common bond with us. A bond of trust that comes from excellent quality, affordable prices and fair dealings. Acumen for choosing the right location and providing the right amenities at an affordable budget has made us a household name in Pune. Our reputation for timely possession and prompt after sales service has earned us the complete trust of our customers. We firmly believe in the dictum ' Each Home is Auspicious' and strive to fulfill the aspirations of our customers to own their dream home. Indeed, it is the driving force behind our company. Timely possessions of the units. We have a strong team of qualified engineers and well defined systems in site management, construction, accounting, sales & marketing and HR. We are member of the prestigious Promoters and Builders Association of Pune.